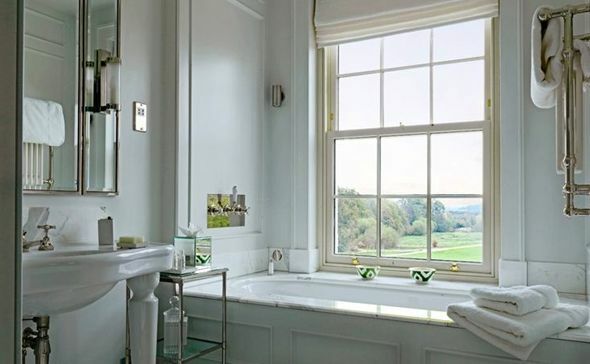 One of my favorite simple pleasures in life is a good soak in the bath. Sadly, I didn't have very many opportunities to do so in the past four years since I was in university and spent spent a grand total of four months living in apartments with tubs, plus on top of that, I was always sharing my bathroom with roommate(s), which pretty much eliminated the possibility of having a long soak in the bath at the end of a stressful day. My living situation for next year is still not finalised, so I don't know if I'll have a bathroom to myself or not, but either way, it is quite unlikely to have a tub. 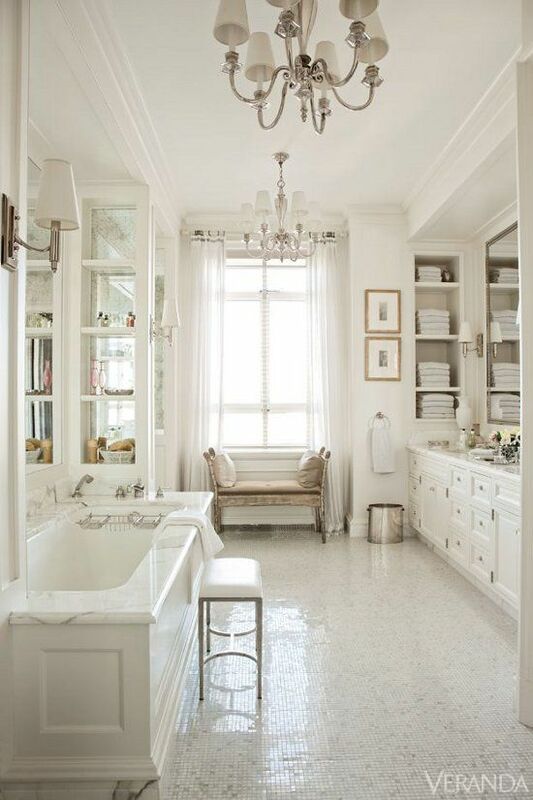 Going for long periods of time without a tub only makes me dream of these types of glamorous spaces where I could sit in the tub for hours on end with a fragrant candle and a good book. 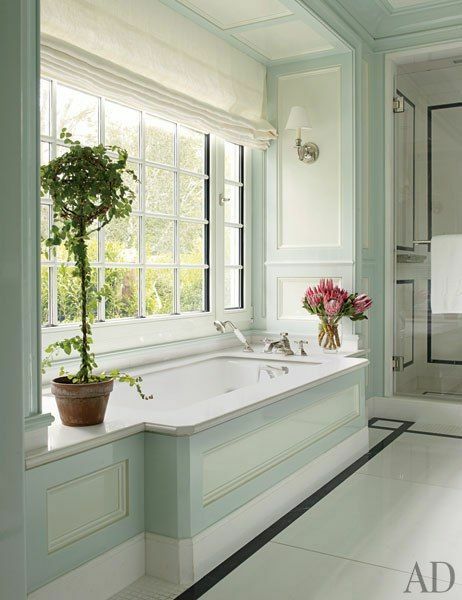 It's one of my favorite ways to relax, and the clean lines and gorgeous details of these bathrooms would make it all the better. 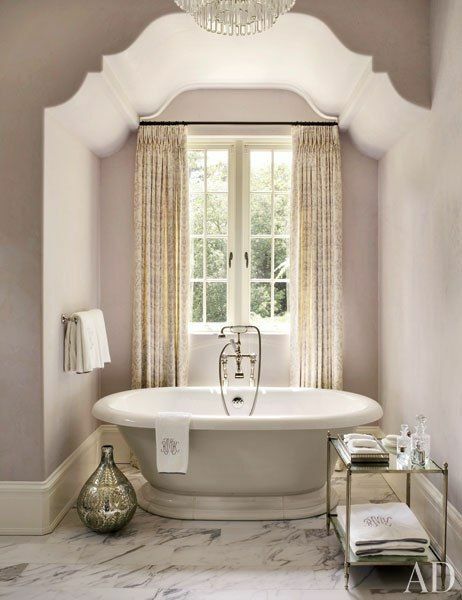 Are you a fan of baths?